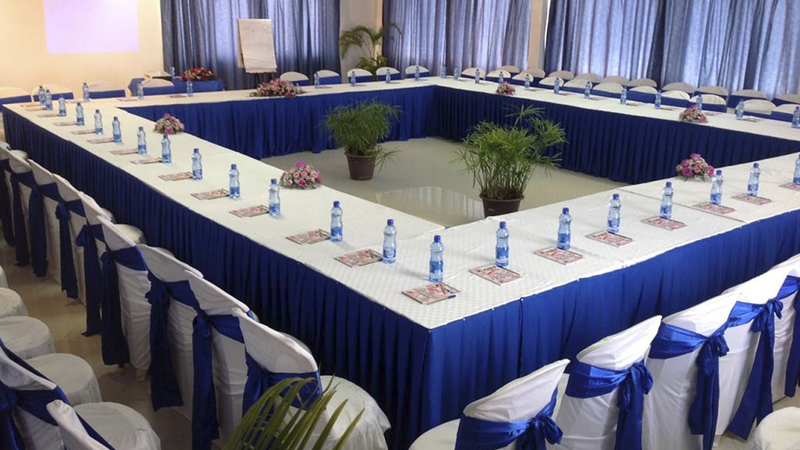 The fully air-conditioned conference room with a built in public address sound system can comfortably cater for boardroom presentations and formal style conference sitting for a group of up to 80 pax. With informal theater style sitting it can accommodate large groups of up to 100 pax. The special full day rate includes two teas at 10.00 am and 4.00 pm, a buffet lunch, a bottle of mineral water each for the morning and afternoon session, stationery, a flip chart and mints. Overhead projector is available at an extra cost. Wireless internet is available free of charge.